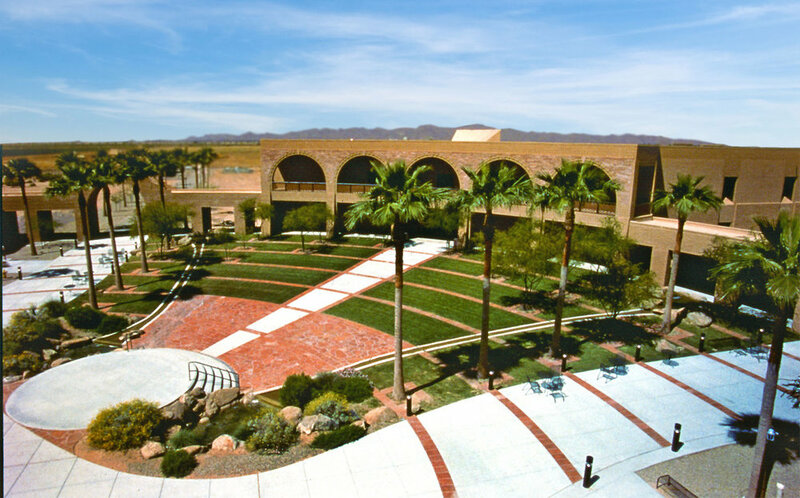 Estrella Mountain Community College, Avondale, Arizona, USA. Five sculptural columns hold up the shade canopy which flanks the entrance to this community college. The columns are designed to interact visually with native plant landscaping. Collaborative project with Smith Group, Architects, Planners and Engineers. 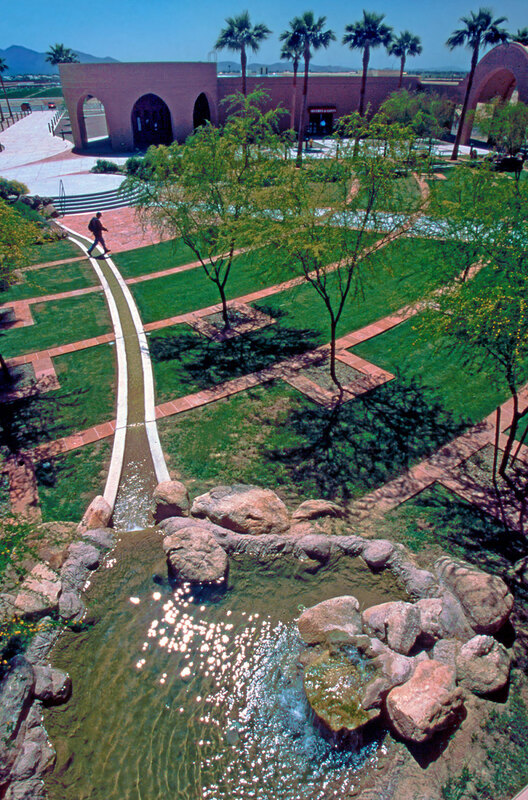 A “percent for art” project, the plaza is designed for community use as well as college functions and has accommodated up to 1200 people. It is flanked by two gravity-flow, recirculating canals, which reference ancient agricultural practices still in use in the valley today. Block wall, glass block inserts. 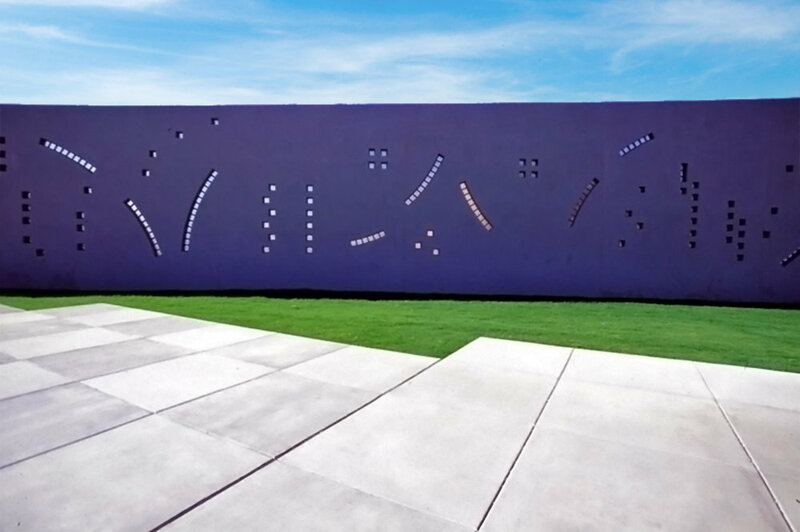 This long, decorative block wall conceals the utility plant facility while also serving as sound buffer. Commissioned by Estrella Mountain Community College.